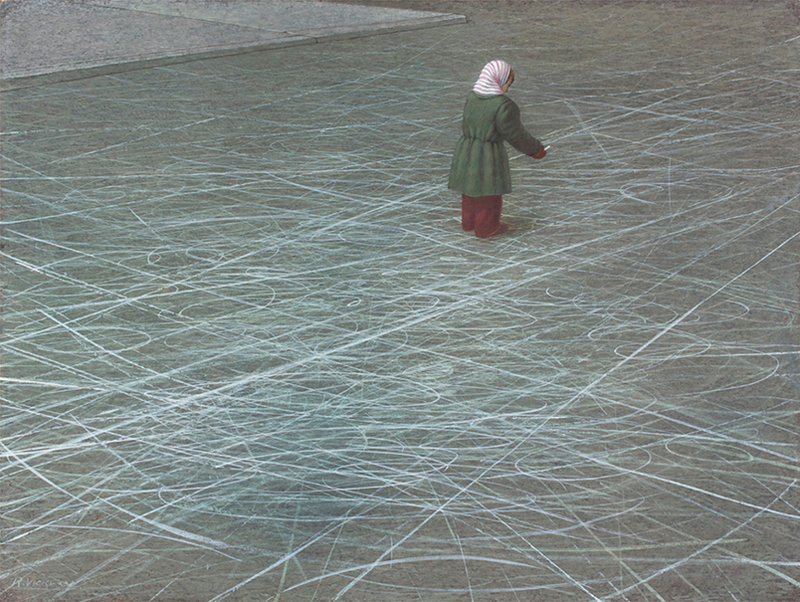 The paintings of Robert Vickrey often focus on solitary figures within unfamiliar and disorienting environments. This dramatic format helps to evoke the interior lives of the people—often children—whom he portrays. 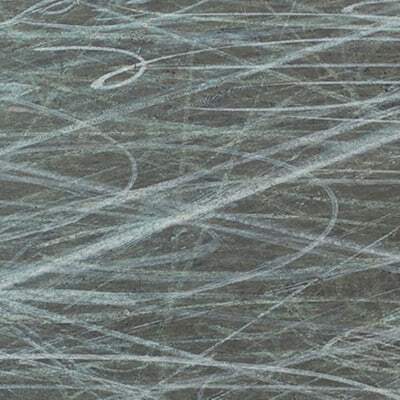 Wintertime includes one of the artist’s favorite motifs of a child drawing mysterious patterns on the pavement, as though in the act of diagramming the space around them. 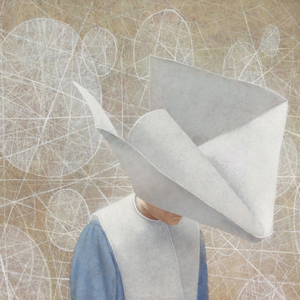 The surreal sensibility of this image is enhanced by Vickrey’s meticulous technique of egg tempera painting, which renders all forms in sharp focused detail. A medium once medium favored by early Renaissance artists, egg tempera was revived in the mid-twentieth century by Vickrey and a group of North American painters who came to be know as Magic Realists. Their art contrasted sharply with the prevailing aesthetic of abstract painting in the postwar era. 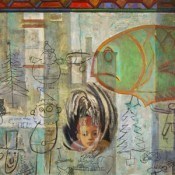 The influence of modern painting is, however, often evident in Vickrey’s images. 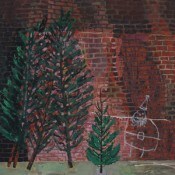 The chalk drawing that fills most of the composition of Wintertime, is a clear reference to the unfettered expression of postwar abstract artists such as Jackson Pollock and Mark Tobey. Searching for order and meaning in the world around her, Vickrey’s pensive child becomes a potent symbol for the creative impulse that drives all artists.